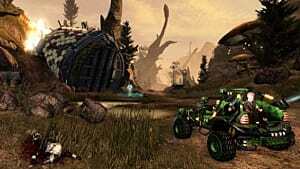 Defiance players will see a new DLC pack this April according to Trion Worlds. 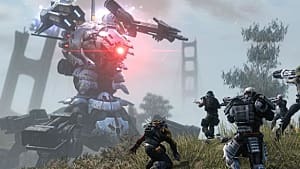 The fifth installment, Arktech Revolution, will introduce new features and updates to core gameplay. Arktech Revolution will introduce an increase to the EGO rating cap to go along with the new powerful perks on the EGO grid and higher EGO unit cap to claim them. The higher EGO rating will have a larger effect on damage, health, and shield capacity. The damage output of weapons will be sealed on their power rating. An addition of a new Salvage Matix that will increase a weapon's power rating as well. Enemies will now be more difficult to match the players. The difference between standard and the elite enemies will be "more pronounce," says Trion Worlds. Teaming up with your friendly ark hunters to take on new expert versions of all co-op maps featuring new enemy difficulty tiers will be more exciting and a challenge. New special tokens to purchase legendary weapons and mods from certain vendors. For you Wasteland Warriors, your equipment loadout is getting a change. Armor is a new damage-mitigating buff granted passively by shield equipment and temporarily by perks, stims or spikes. Unlike shields, armor doesn't regenerate when excessive damage breaks it but can be repaired at extraction points. Temporary armor doesn't stack and expires with the effect that granted it; passive armor does stack. Enemies will drop universal consumables, called charges, of each type of grenade, spike and stim charges that will refill one specified item type in your loadout. You'll also automatically salvage any excess charges upon picking it up. 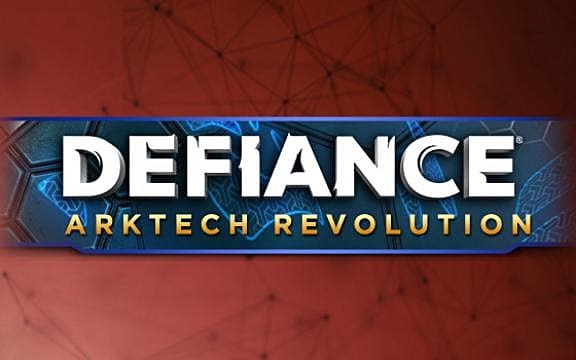 The Arktech Revolution in Defiance will be available on Xbox 360, PS3 and PC this April. No specific date is available at this time. 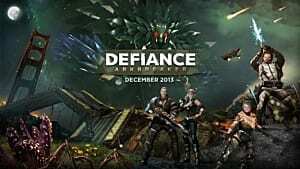 Defiance is a futuristic online third-person open-world shooter, MMORPG, by Trion Worlds. 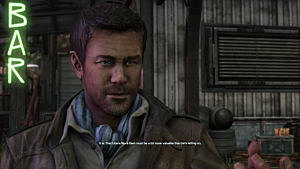 Defiance is dead, and you've no idea how much it breaks my heart to say that. 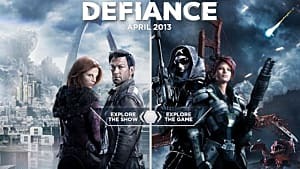 I pre-ordered defiance and the season pass because i had high hopes for the game. However it never lived upto the expectations that I and many had. The game was broken on launch, had a terrible UI that crippled the game in a big way. No in game community was really available because the chat system was a disaster (and still was the last time i played). This was caused by SyFy pushing them to get the game ready for the air date of the TV series (which was even worse lol). The idea of a tie in with a TV series is a good one, but the game needs time to be developed and made ready. 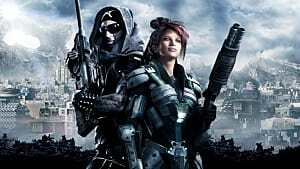 Sadly this game never got that, and it shows. Then you have all the previously released DLC which are garbage really. Some of which you can't really gain access to unless you do the PvP side of things, which is poorly implemented and dosen't work well. Sadly i wouldn't be surprised to hear Trion announcing no more updates to come after this final DLC is release. Final, as in contractual from the season pass obligations. Sadly I can agree with you on all counts. Trion hasn't fixed any of the pre-existing issues especially the lag. The UI is terrible, getting booted after a 2-3 hrs of gameplay. The constant changing the nerf of weapons is insane. Many people feel that Trion hasn't kept their word to players. Yes, PvP seems to be catered to and everyone else is ignored. 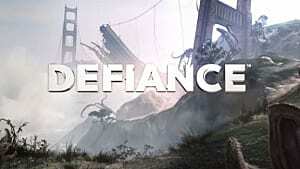 Defiance could be so much more than what was put out. I will disagree with you on the show. I did love the show and I can't wait for the new season. As far as the game, they lost me and my fiance awhile ago.